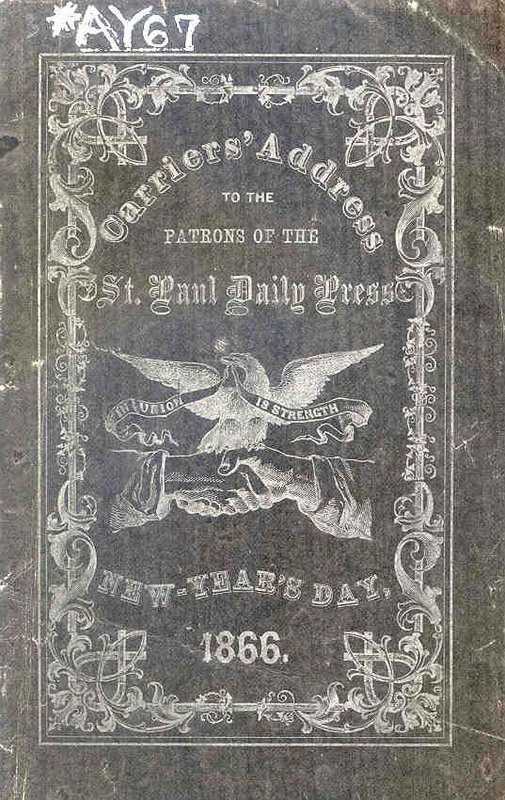 Newspaper subscribers were gifted with the New Year’s greetings by their carriers. The tradition started in late 1860s through the turn of the 20th century. It was an opportunity for the printers to show off their craft and for carriers to remind people to tip them around the holidays. The Greetings themselves consisted mostly of bad poetry.